We're getting a good look at burned Bonneville cutthroat trout habitat. CAN THE IMPACT of wildfire on fish habitat be measured? Why are certain stream locations more heavily impacted by wildfire? Can fish habitat and populations be managed to increase the resilience of native fishes, including sport fish and endangered species, to wildfire disturbance? How do local characteristics like geology, topography, and vegetation contribute to fire severity; and how can required mitigation efforts make the most out of taxpayer funds? This map shows the three flight lines flown by the NSF plane. Two streams from the burn area (Shingle & Fish) and one stream from the adjacent unburned area (Beaver). These are questions that scientists at Utah State University pondered as they began the DWR-funded Twitchell Fire research project. The over-arching goal of the research is to restore native fish species, including Bonneville cutthroat trout, to fire-affected streams in the Tushar Mountains. However, the watersheds of these remote 12,000+ foot peaks do not provide data easily. An upstream view of the vegetation loss and channel aggradation typical in middle sections of Shingle Creek. Photo by Colton Finch. “That’s where the National Science Foundation (NSF) comes in. 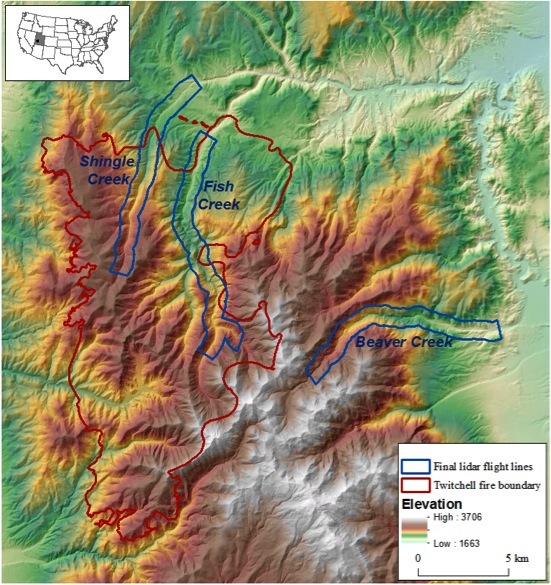 NSF’s National Center for Airborne Laser Mapping (NCALM) has access to technology that is difficult for [state agencies and] universities to own independently, such as aerial lidar equipment”, remarks Colton Finch, PhD graduate student in Dr. Phaedra Budy’s Fish Ecology Lab (Department of Watershed Sciences) at Utah State University (USU). The NCALM’s equipment is usually reserved for projects of national and international significance such as mapping geological faults lines, monitoring changing shorelines and tracking the environmental changes of the Arctic and Antarctic. But, each year the NCALM provides up to ten awards to graduate student PI’s whose research would benefit from the high-resolution topographic maps. 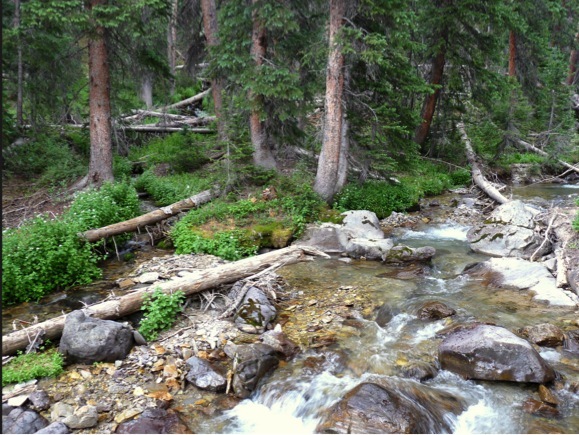 Finch and Keelin Schaffrath, a fellow PhD student in Dr. Patrick Belmont’s Hydrology lab at USU, saw the NCALM grant as an opportunity to gather stream data they couldn’t otherwise obtain. The data would increase their ability to provide DWR with the most precise maps of each stream’s features. The students submitted a proposal and were selected for funding out of the competitive nationwide pool of dozens of applicants. The NCALM grant will place Utah at the forefront of wildfire-fisheries research and will strengthen Twitchell project results by providing data worth over $42,000 for no cost. Within a few months the small NCALM plane, with a belly full of aerial mapping instrumentation, was flying over the Tushar Mountains gathering information. The plane followed three separate flight lines over three streams (shown in map below) on Fishlake National Forest. Two streams (Shingle & Fish Creeks) were within the area burned by the 2010 Twitchell Fire and one stream (Beaver) drained an adjacent unburned area. This healthy Bonneville cutthroat trout came from Skunk Creek, a tributary of Pole Creek with hiking access only. DWR hopes the streams in the fire areas will support a population of these native fish. Photo by Colton Finch. To gather data, the plane sends out 300,000+ laser pulses each second, then records the returns (echoes) that come back. The timing and intensity of each return draws an incredibly detailed picture of the landscape, including vegetation, water and the bare-earth surface. The underwater (bathymetric) lidar, a relatively new technology, allows Finch and Schaffrath to “build a three dimensional map of the streams with a vertical accuracy of less than 15 cm (6 inches) and horizontal resolution of less than 1 meter (3 feet); this includes images of what it looks like underwater,” remarked Finch. This bathymetry map should allow the researchers to measure the quantity, quality and distribution of habitat for Bonneville cutthroat trout. 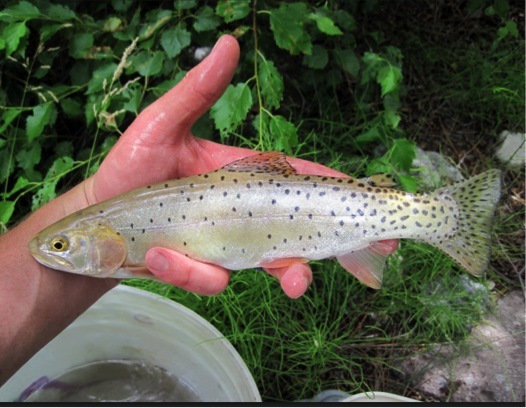 The trout’s importance as a sport fish and being Utah’s state fish brought funding for the other parts of the study. Aerial lidar coupled with additional data will also allow Schaffrath and Finch to determine the origin of all the sediment, and how much and where the fire changed the structure of the stream and floodplain. “Aerial lidar is the [fastest] way to collect topography information without having to stomp around in the bushes with the rattlesnakes”, said Finch. While he likes both hiking and rattlesnakes, this provides a way to reach the areas Finch and Schaffrath can’t survey on foot. Without the NSF grant, the researchers would have primarily relied on habitat measurements taken by ground crews within a dozen 100-meter index sites on the streams. From past experience, the scientists estimate it would take about one week to survey a 2 km reach of mountain stream from the ground, or 24 km of stream per summer field season. The NCALM grant provides higher resolution topography data for almost twice that area (40 km; about 25 miles) with one morning flight. Not only are the data richer and more extensive, but the USU researchers are freed to gather other important data that cannot be remotely sensed, such as examining sedimentary flood deposits. Beaver creek is the stream just outside the burned area. Beaver is being used as a comparison study of what the fire-affected streams may have looked like before the fire. The ability to combine the index site data with the lidar topographic maps gives the USU research team the ability to create an up-scaled map of the entire watershed. “We are not sure yet if all the fish disappeared because the habitat was all destroyed by fire, or if the fish suffocated during the fire and there is still healthy habitat,” said Finch. “With answers to these questions we’ll be better equipped to map the abundance and connectivity of patches of Bonneville cutthroat trout habitat in burned reaches relative to unburned reaches”, said Schaffrath. When all the data have been gathered, combined and analyzed, the USU research team will present the findings to DWR. 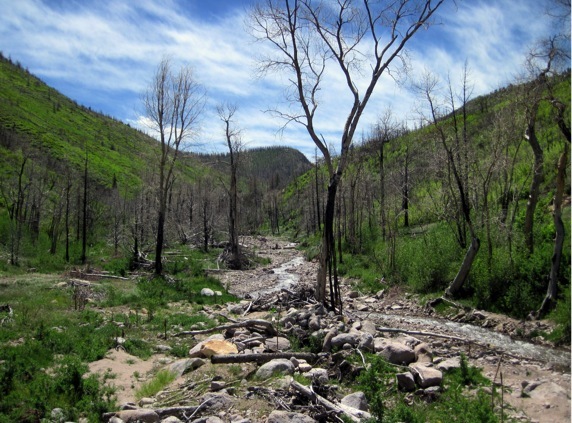 The presentation and final report will provide managers with new tools to help advance native fish conservation and restoration in burned streams throughout the intermountain west. Neat project. I would like to know when this data becomes published.